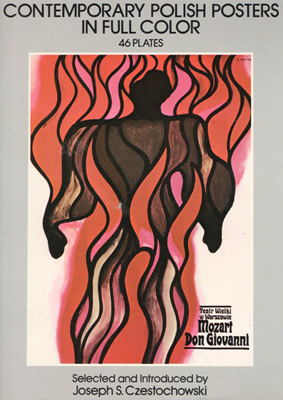 Contemporary Polish Posters in Full Color by Joseph S. Czestochowski is a collection of some of the most important posters from 1961 to 1977 that were considered "an art form equal to painting". There are 46 full-color poster plates - 12 CYRK... posters with the remainder representing the other cultural genre especially opera and theater. note: This book is currently out-of-print with new editions selling for more than $250.